I made up for my reading fail last week by actually getting some books read this week! It was kind of nice to get back to reading. The Cottage on Juniper Ridge by Sheila Roberts - Review will be up tomorrow. After a rough start I ended up enjoying this one. 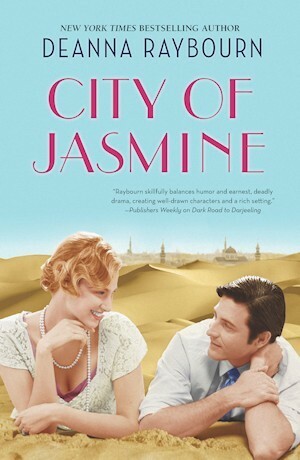 City of Jasmine by Deanna Raybourn - I've read on of her mysteries in the past and enjoyed it so I was intrigued by her romance books. This is set in the early 1920s which is also a plus. So far so good. Towards Zero by Agatha Christie - First one of the non-series books from the 1940s. I've got a few others going but none that I'm really involved enough with to say I'm actually reading.